The First Lady Meets…Allsorts Accessories! What is All Sorts unique selling point (USP)? The USP for allsorts is that all the products are hand-made and designed by young people. It is not only a product based business but a social enterprise designed to give “at risk” young women the opportunity to develop a positive future for themselves. How did you get into jewellery designing? 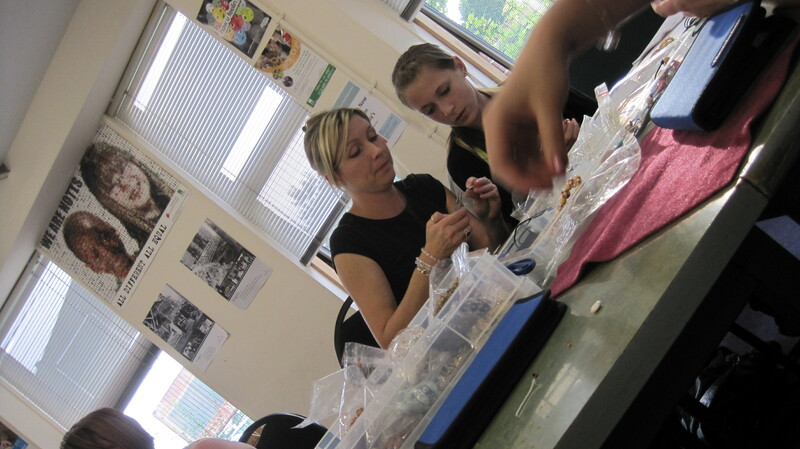 We started doing jewellery workshops as part of the activities that Ed and Mark (from positive futures) put on for us to do. 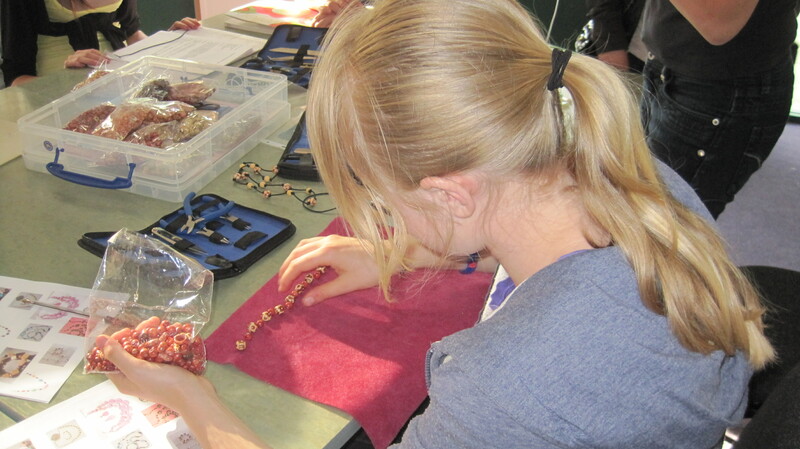 We really enjoyed making the jewellery and we all got quite good at it. We were then invited to sell some products at the Positive Futures celebration event. The response for our products was really good so we decided, with the help from Positive Futures, to look further into making it a viable business. What would you be doing if you weren’t involved with Positive Futures? If we weren’t involved in Positive Futures there wouldn’t be a lot to do. Some of us would be involved in drinking out on the street or just hanging around, others would pretty much stay at home and not do much. Positive Futures has given us loads of stuff to do and lots of fun trips, and now maybe a new business for us to run. We make designs from the skills Suzanne has shown us and then do it in our own style. We all have different styles so the jewellery is very eclectic. The cards and bracelets are the best. Because with the cards they are a thoughtful present and the bracelets are quite simple to make but look really good and you can do a lot of different designs. 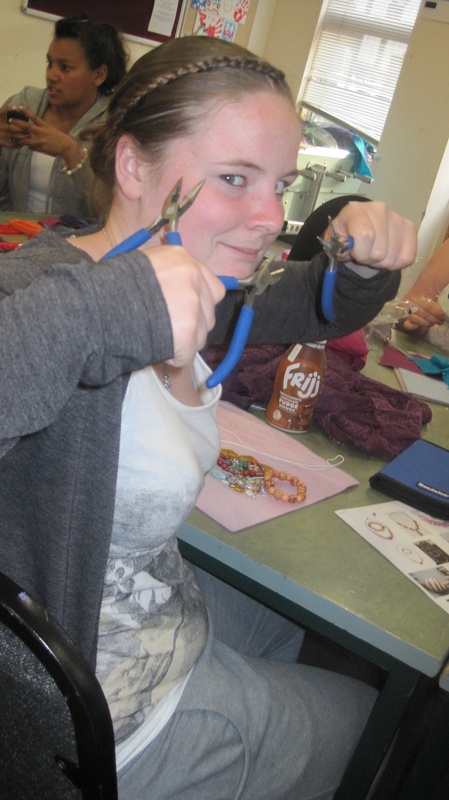 What are the benefits of jewellery making and working with Positive Futures? It is fun to do and now we have the chance to run a business it would be silly not to take up the opportunity. It is a good session if you are stressed or your day is going bad because it relieves stress and you can sit and chat as well as make things. What is the best business lesson you have learnt so far? The best business lesson we have learned is to work hard at sourcing stock and also be punctual and organised. Allsorts is just starting so a lot of our time is spent on making stock at the moment, we have just set up a Facebook page – search “allsorts accessories” on facebook. Positive Futures information click here. The First Lady champions entrepreneurship particulary amongst women. It is our belief that it you are never too young to start thinking about working for yourself, as such we have partnered with Positive Futures to give a young accessory company called, “Allsorts Accessories” the opporunity to showcase at our Christmas event. Positive Futures is a national activity-based social inclusion programme for young people aged 8 to19. Launched in 2001, the programme helps young people from deprived communities steer clear of crime, drug and alcohol misuse and move forward in their lives. At the heart of Positive Futures is a strong, shared commitment to reaching young people ‘where they are’, building relationships of respect and trust and supporting them to succeed.